One of the most difficult transitions in kendo is the move from being kakarite to becoming a good motodachi. Most of us at some time in our kendo careers have to cross the dojo floor and change from being attacker to receiver. To do so successfully calls for a mix of technical ability, judgement and compassion. The challenge for the instructor is to encourage the student to stretch beyond his comfort level without causing physical damage, feelings of frustration or eroded self-esteem. For many of us this is a tough task, particularly when we have classes of varied ages and abilities. At Mumeishi dojo we have a mix of male and female members aged from their early 20s to mid-60s, from National Squad members to beginners; so a “one size fits all” approach would not work. The practice has to be tailored to get the best out of each student regardless of condition or experience level. Whereas you might finish your keiko by asking an older kenshi to make one or two good men attacks, you could up the stakes with a young competition player, offering a tough kakarigeiko session before challenging them to a final one point match. If you get the first point, go to a second which with a bit of luck, (or subtle help) they will take. Ideally they should come out of a tough session feeling positive. Not all instruction has to be verbal. If a student shows his kote every time he raises the shinai for men you should hit it frequently as a reminder. If he or she is young and fit, but has the habit of leaving their back foot in the air when they strike, a strategic push to remind them that their balance is unstable would not cause too much harm, providing you use a level of restraint. If they have a habit of stepping back, step in and take hikibana men. We have talked about the qualities of a good motodachi in other posts and most of us accept that we need to be full of spirit and totally engaged in the moment. It is also important that we exercise impeccable judgement to get the most out of our dojo mates. The objective is to help them be the best kendoka they can, be whether they are aspiring juniors, national team members or senior citizens and to make sure that we all make it safely to the final rei. I recently joined the blog and enjoy and gain from it immensely. Regarding the post, “Motodachi’s duty of care”, I constantly remind myself to tell junior player what they do right as well as giving critical feedback. Research points out in all fields of endeavor that positive reinforcement is more effective that negative. So, if, a junior kendoka makes a particularly good strike, I make it a point to say why I think it was well executed. I liked both, too. It’s a big moment for ex-beginners to realise they have a responsibility for someone else’s improvement. You don’t have just your own footwork and cutting to worry about. Your role changes, so you need a different, more mature attitude, and the confidence and clarity to encourage someone as well. We have a lot of university students at our dojo, so they soon find themselves in a position where they’re not the newbies any more. 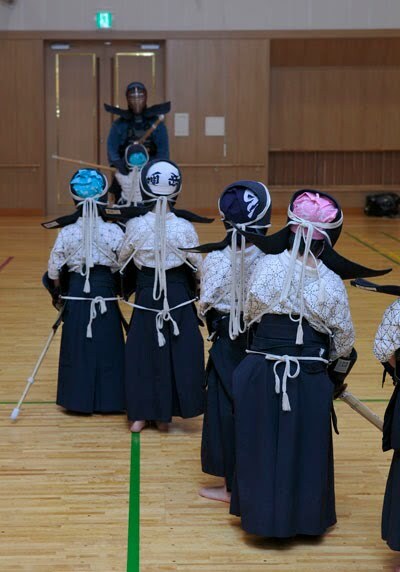 My kids have started Kendo and just last night they got to the point that they were instructed to start actual striking against a motodachi. Eventually, after many rotations they stood in front of me. I looked back at them. My kids. Waiting their turn in line. It paused me, briefly, but strongly, what it really means to be motodachi and the use of your word “compassion” is an apt one. Sensei, i know that i’ve already ask you for a post in the past but if a may i would like to ask you something for the blog: I’m a tall person (almost 2m height) and everytime i keiko with a sensei they always tell me the same thing “You are tall you have an incredible advantage you should use that” i heard that over and over again but i honestly can’t see HOW being tall give me THAT much of the advantage. I know i can reach men before someone that’s smaller than me but even with that in mind i simply can’t see how being tall is helping me, in other words: what’s all this “incredible advantages” tall people have in kendo ? Could you clarify this for me and for all tall kendokas worldwide? I agree with your sensei. Here is a post I wrote a year ago on gn the subject.